China is the world’s second largest economy, yet it exercises tremendous capital control including restrictions on its currency, the renminbi. 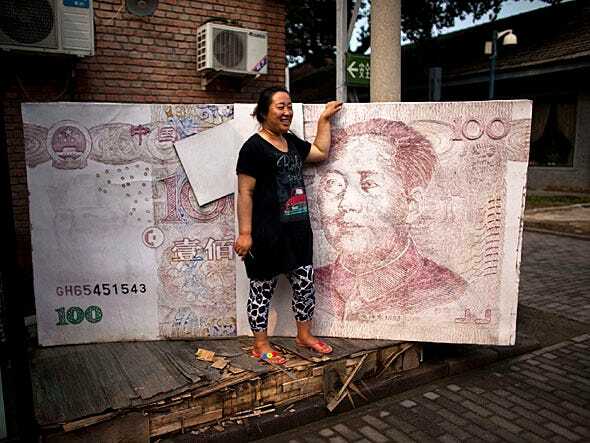 Chinese officials have previously said that they want to make the currency fully convertible by 2015. Some, like Deutsche Bank’s Alan Cloete, have made bolder claims. He expects the renminbi to become a major reserve currency in the next decade and that it could begin to threaten the greenback. And Berkley economist Barry Eichengreen has said it could account for 15 per cent of global currency reserve holdings around the end of the decade. More conservative estimates say full convertibility is at least 10 – 15 years away. But China’s currency has come a long way in the last two decades. People screaming for the internationalization of the renminbi often forget that until the mid-1990s, foreigners in China could only purchase goods and services with foreign exchange certificates (FECs). These were denominated in yuan but sold at a premium and, as expected, led to a thriving black market. FECs were phased out in 1995 as Beijing began to open up. Once FEC’s were phased out, China could open up its current account and use the renminbi to settle trade. “This opened the door for China to make the Renminbi convertible for current account (i.e., trade) transactions the following year,” wrote Patrick Chovanec, professor at Tsinghua University. But China continued to exercise strict capital controls establishing ‘B shares’ that were denominated in U.S. dollars in Shanghai and Hong Kong dollars in Shenzhen, and that only foreigners could invest in until 2001. “In effect, the inability to freely buy and sell Renminbi was used as a firewall to insulate China’s financial markets from the outside world,” writes Chovanec. The country has come a long way since then. In understanding a currency’s role in the global monetary system, Lei (Sandy) Ye, a PhD candidate in Economics at Cornell University, and Cornell professor Eswar Prasad say we have to look to three aspects of the currency. Internationalization, i.e. its use in settling cross-border trade and its use as an international medium of change. Capital account convertibility, or the capital controls (in the form of taxes or laws) in place to restrict the flow of capital (cash, stock, foreign direct investment and so on) in and out of the country. Reserve currency, i.e. 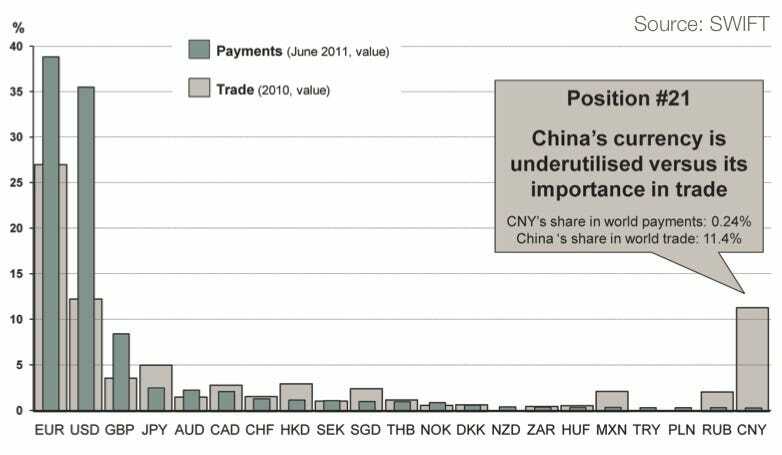 is the renminbi held by other central banks. Beijing has also signed bilateral currency swap agreements with countries that it imports commodities from like the UAE, Malaysia, Turkey and Australia. The development of the offshore renminbi market was also a significant step in that direction — more on that later. In terms of its capital account, China has been rolling out reforms since the 18th Party Congress. These include expanding the Renminbi Qualified Foreign Institutional Investor scheme (RQFII) which allows qualified investors to channel offshore yuan into bonds and mainland stock, or the Renminbi Qualified Foreign Limited Partner Program (RQFLP), which allow offshore yuan to be invested in private equity. It also allowed more renminbi-based IPOs in Hong Kong. And countries like Chile, Tanzania, and Nigeria have diversified their foreign reserves to include the renminbi. But this isn’t enough. “Chinese policymakers don’t appear willing to open up the capital account fully,” Diana Choyleva of Lombard Street Research told Business Insider. “The process of renminbi internationalization has as its main aim to establish the framework for increased Chinese borrowing from abroad, as the ability of the state to use the banks as an ATM has been exhausted. No wonder that under the schemes introduced so far, the emphasis has been on increasing capital inflows, not capital outflows. As China began to open up its economy, it wanted its currency used in the international market to settle trade and financial transactions, without, however, fully opening up its capital account. Hong Kong, which has served as an international hub for mainland China, naturally happened to be a great place for an offshore renminbi (CNH) market. Singapore, Taiwan, and London have since developed their own offshore renminbi markets. 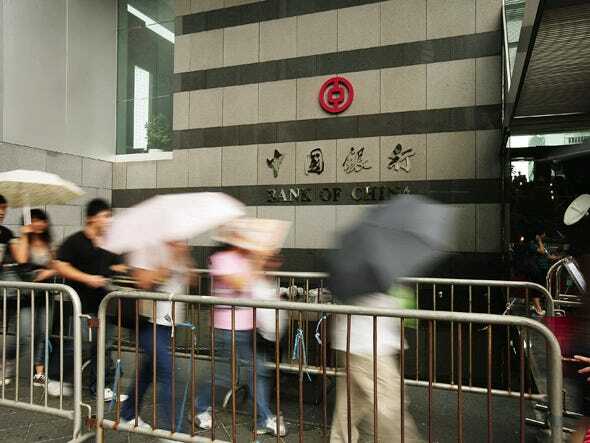 It began with the development of personal renminbi banking business in 2004 when renminbi deposits were allowed in Hong Kong, according to Vanessa Rossi and William Jackson at Chatham House. They go on to say, Bank of China (Hong Kong) was designated as the sole offshore renminbi clearing bank some time in 2004. Renminbi deposits continued to climb, especially once the bond market was established in 2007. Bonds issued in renminbi outside the mainland were dubbed dim sum bonds. In 2010, McDonald’s became the first foreign (non-financial) company to issue a dim sum bond. 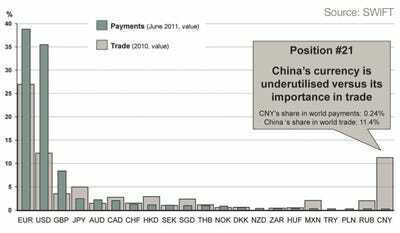 Renminbi deposits continued to pick up with the launch of the trade settlement scheme in 2009 – 2010. “Fervent demand for renminbi from international investors has driven down rates in Hong Kong and thereby created incentives for companies considering using the renminbi for trade or financing. The expectation that the renminbi would appreciate has been a key factor driving demand for CNH. But Chinese state media has warned that a sharp renminbi appreciation is unlikely in 2013. Moreover, the gap between the CNH and CNY has narrowed. 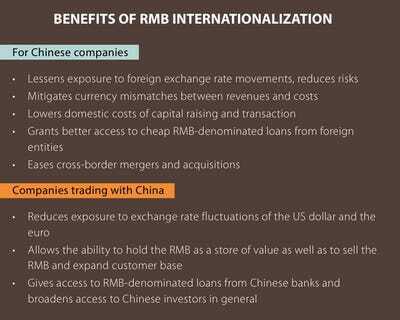 How does the internationalization of the renminbi help companies? 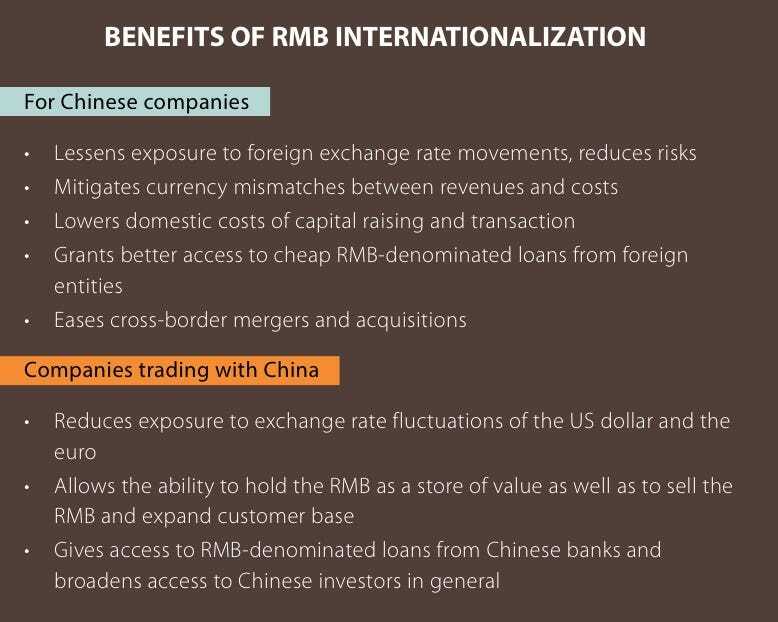 In a paper titled “The Curious Case Of RMB Internationalization,” Oliver Meng Rui and Andy Bodrog point out that Chinese companies, and companies that trade with China, can both benefit from the internationalization of the renminbi. But China still has a way to go before its currency is fully convertible. To start with, it needs to do more of the same: i.e. use it to settle trade and invoicing and get foreign central banks to add it to their reserves. The currency would also have to be used in transactions that aren’t directly related to China for it to be considered a truly global currency. Of course the biggest problem is getting China used to the idea of an internationalized renminbi. “There are many segments in China (such as the Ministry of Commerce, who represent manufacturers, and so on) who may like an internationalized renminbi in principle but oppose its effects (such as a more volatile and probably stronger currency),” Moody’s Alastair Chan told Business Insider. While investors like Jim Rogers have said the biggest mistake on the part of Chinese policymakers is maintaining a non-convertible currency, there is something to be said about the caution Beijing is exercising. Liberalizing the capital account too quickly risks causing large capital outflows. 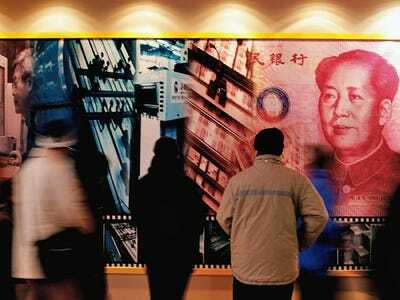 Liberalizing interest rates to limit such risks, would raise borrowing costs for its state-owned enterprises (SOEs) that still contribute a significant amount to GDP. A fully-convertible currency would also be exposed to exchange rate shocks. “It’s probably prudent to be careful in this as there are many cases of financial crises after capital account liberalization,” warns Moody’s Chan.